Walter Ellsworth Shinn was born in South Amboy, New Jersey, on January 16, 1916, the son of Howard Shinn and Dorothy Brett Shinn. While growing up in Parlin, New Jersey, he attended South River High School (1931-1933) and the Hun School in Princeton (1933-1935). An exceptional athlete, he was named to New Jersey’s all-state football and baseball high school teams 1933-1935. 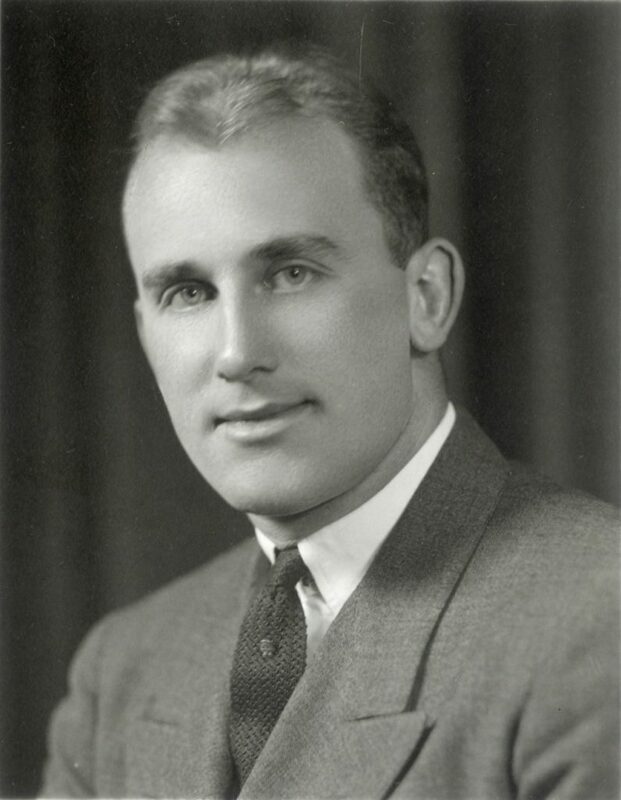 Walter Shinn came to the University of Pennsylvania as a freshman member of the Class of 1939 in the fall of 1935. During his years at Penn, he was a member of Sigma Alpha Epsilon fraternity, the Sphinx Senior Society, and the Phi Kappa Beta Junior Society. Shinn was best known on campus, however, as an athlete. Tall, solidly built, and fast, he began playing both varsity football and varsity baseball his freshman year. As a lineman and tackle, he was a member of the varsity football team all four years; during his senior year he was team captain and All-American selection. On the baseball diamond, Shinn was known as a hard-hitting outfielder; he played varsity baseball his first three years and would have been on the team his senior year if he had not accepted an offer from the New York Giants baseball organization. Because Shinn took the leave of absence Penn during the spring of his senior year, he did not play varsity baseball during his senior year nor did he graduate with his class. He did, however, return to Penn in the fall to finish his course work and to coach Penn’s junior varsity baseball and football squads. He earned his B.S. in Economics from the University of Pennsylvania’s Wharton School in February of 1940. Shinn played minor league professional league baseball for two seasons. In 1939, his first year with the Giants’ organization, he played for the Giants farm club in Fort Smith, Arkansas (Class C Western Association), and then for the Jersey City Giants (Class AA International League). He was assigned to the Clinton Giants (Class B Three-I League) for the 1940 season; when he hit over .300, he was recalled by Jersey City late in the season. He was assigned to the Richmond Colts (Class B Piedmont League) for 1941, but as March spring training was getting away, Shinn wrote to Colts’ owner, Eddie Mooers, telling him he was giving up baseball to enlist as a naval cadet. Shinn did not abandon sports, however. During the baseball season at the Jacksonville Naval Air Station, Shinn played left field; as one of the leading hitters on the team, his long range slugging helped Jacksonville to defeat their number one rival, Pensacola Naval Air Station team. He was also a star tackle on the N.A.S. Jacksonville football team which defeated Florida, Miami, and Tampa Universities as well as two Army teams, Spence Field and Daniel Field. 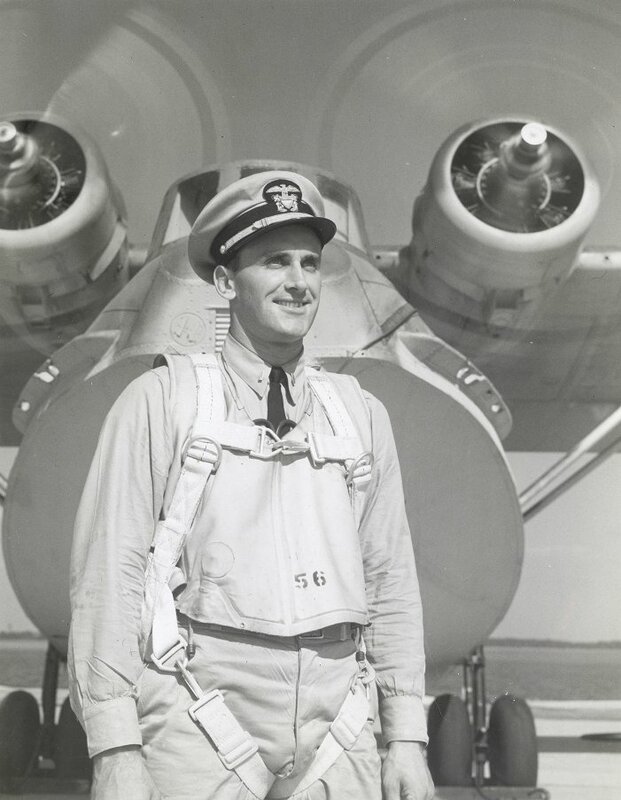 During World War II Shinn was twice awarded the Distinguished Flying Cross for his services in the southwest Pacific with the Navy Air Corps. He was a lieutenant in the “Black Cat” squadron which received a Presidential Citation for sinking 75,000 tons of enemy shipping. After the War, Shinn became a commercial airline pilot, accumulating 27,000 hours of flight time during 30 years with National Airlines. He then served as general manager of Chalk’s Airlines (America’s first airline company, flying seaplanes between Florida and the Bahamas) until his 1981 retirement. Shinn died in Palm Beach Gardens, Florida, on May 2, 1988. At the time of his death, he was survived by five sons, a daughter, and two stepdaughters.